Get Ready is the seventh studio album by English rock band New Order. It was first released on 27 August 2001 in the United Kingdom by London Records and on 16 October 2001 in the United States by Reprise Records. It was the band's first studio album in eight years, following 1993's Republic, and was their last to feature their classic lineup. Get Ready has been generally well received by critics. The album currently holds an approval rating of 72/100 on review aggregator website Metacritic. David Browne of Entertainment Weekly opined that New Order have "never sounded stronger or more vigorous", calling the album "A stunning and confident return to form". John Bush of AllMusic wrote "their first work in 15 years that's focused on songwriting and performance rather than grafted dance techniques". Q wrote "New Order have made better records than this, but not many with such an emotional charge and the expansive noise to carry it off... [...] Get Ready is the sound of a great band breaking free of their past before your ears." Q listed Get Ready as one of the best 50 albums of 2001. All tracks written by New Order (Gillian Gilbert, Peter Hook, Stephen Morris and Bernard Sumner). Musician credits for New Order are not listed in the liner notes of the album's personnel. Below are the instruments that the group typically plays. ^ Grow, Kory (23 September 2015). "Inside New Order's Triumphant Return to Dance-Rock". Rolling Stone. Retrieved 27 September 2015. ^ Prince, David J. (December 2001). "New World Order". Spin. 17 (12): 68. ^ a b "New Order Online – A New Order / Joy Division Web Site". New Order Online. Retrieved 29 December 2014. ^ a b c "Reviews for Get Ready by New Order". Metacritic. Retrieved 29 December 2014. ^ a b Bush, John. "Get Ready – New Order". AllMusic. Retrieved 29 December 2014. ^ Leonard, Michael (October–November 2001). "New Order: Get Ready". Blender (3): 113. Archived from the original on 4 May 2006. Retrieved 2 November 2015. ^ a b Browne, David (19 October 2001). "Get Ready". Entertainment Weekly. Retrieved 2 November 2015. ^ Sweeting, Adam (24 August 2001). "New Order: Get Ready (London Records)". The Guardian. Retrieved 12 February 2016. ^ Wirth, Jim (18 August 2001). "New Order : Get Ready". NME. Archived from the original on 28 September 2014. Retrieved 29 December 2014. ^ Tangari, Joe (18 November 2001). "New Order: Get Ready". Pitchfork. Retrieved 29 December 2014. ^ Harrison, Andrew (September 2001). "New Order: Get Ready". Q (181): 118. ^ Strauss, Neil (8 November 2001). "New Order: Get Ready". Rolling Stone. Archived from the original on 30 September 2007. Retrieved 29 December 2014. ^ Gross, Joe (2004). "New Order". In Brackett, Nathan; Hoard, Christian. The New Rolling Stone Album Guide (4th ed.). Simon & Schuster. pp. 582–83. ISBN 0-7432-0169-8. ^ Christgau, Robert (20 November 2001). "Consumer Guide: Salaam". The Village Voice. Retrieved 2 November 2015. ^ "The Best 50 Albums of 2001". Q: 60–65. December 2001. ^ "Discography New Order". Australian-Charts.com. Retrieved 2008-11-03. ^ "Discographie New Order". AustrianCharts.at. Retrieved 2009-05-20. ^ "Discografie New Order". DutchCharts.nl. Retrieved 2009-05-20. ^ "Discographie New Order". Lescharts.com. Retrieved 2011-02-23. ^ "German chart positions". Charts-Surfer.de. Archived from the original on 12 October 2007. Retrieved 2008-09-03. Note: User must define 'Quicksearch' search parameter as "New Order". ^ "Chartverfolgung / New Order / Longplay". MusicLine.de. Retrieved 2009-05-20. ^ "Discography New Order". Charts.ord.nz. Archived from the original on 24 July 2011. Retrieved 2011-02-23. ^ "Discography New Order". SwedishCharts.com. Retrieved 2009-05-20. ^ "Discography New Order". SwissCharts.com. Retrieved 2009-05-20. ^ "Chart Stats: New Order". ChartStats.com. Archived from the original on 28 August 2012. Retrieved 2008-10-02. ^ "New Order > Charts & Awards > Billboard Albums". Allmusic. Retrieved 2009-05-20. ^ "French compilation certifications – New Order – Get Ready" (in French). Syndicat National de l'Édition Phonographique. Retrieved 17 November 2018. 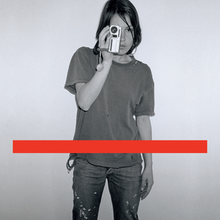 ^ "British album certifications – New Order – Get Ready". British Phonographic Industry. Retrieved 17 November 2018. Select albums in the Format field. Select Gold in the Certification field. Type Get Ready in the "Search BPI Awards" field and then press Enter. This page was last edited on 19 December 2018, at 16:36 (UTC).